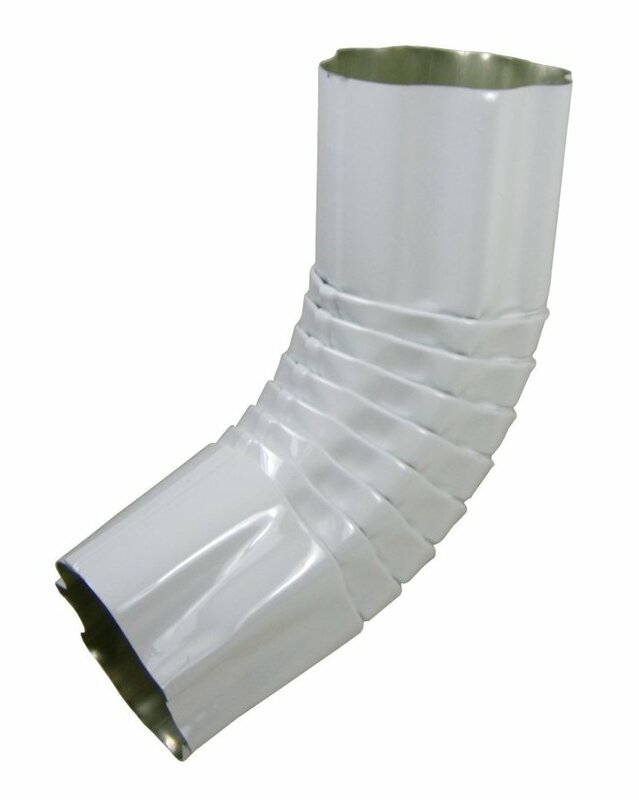 Elbows are the fittings that connect the half round gutter and the round downspout. Two elbows, attached to the half round gutter outlet, are traditionally used to run the underside of the eave in order to mount the downspout to the wall of the structure. 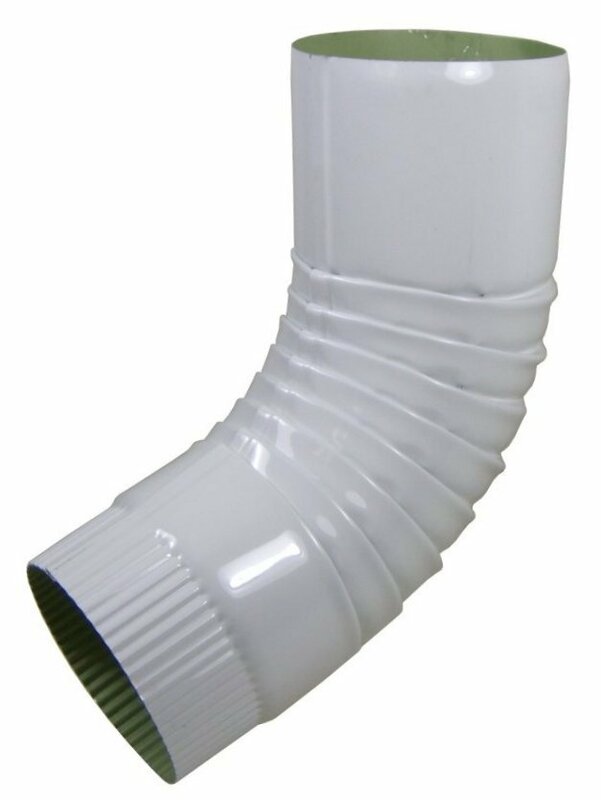 Elbows can be attached to the bottom of the round downspout to disperse the water in the desired direction.